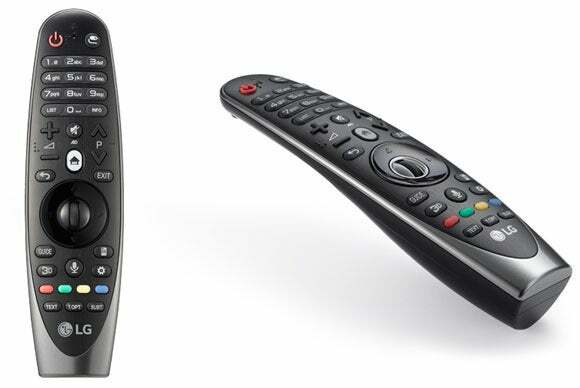 If LG’s “magic” remote doesn’t become the new industry standard for TV controllers, there’s something seriously wrong with the industry. The ability to place the cursor randomly about the screen, as you can with a computer mouse, is a joy after the endless scrolling other TVs force upon you. Can you tell what I liked best about this TV? Opening a review like that actually does a disservice to LG’s 120Hz, 64.5-inch, Ultra HD (3840x2160 pixels) 65UF9500. Sure, the remote is great, but UF9500 also has a great interface and picture; decently saturated color; few if any motion artifacts with high-quality video or signals; and it sounds great. Overall, it was the best TV in the roundup. At $2800—nearly a thousand dollars more than the next priciest, it had better be. Not that the 65UF9500 was perfect. In particular, the contrast wasn’t the best we’ve seen and there were light shadows in the upper corners and some mild backlight bleed in our screen-uniformity tests. There were also some judder issues during file playback that I’ll get into later. LG's Magic Remote could be the best TV remote ever, thanks in part to LG's WebOS. Weighing in at 65 pounds and given the dimensions, the LG UF9500 will generally require two normal humans (or a single football lineman) to set up. Apart from its mass, there’s nothing particularly difficult about the setup if you can handle a Philips screwdriver. All four of the 65UF9500’s HDMI ports are HDMI 2.0 and they all support HDCP 2.2, so the UF9500 will be able to display the upcoming copy-protected UHD content. One is also MHL-capable, so you can mirror your tablet or phone’s display. Another supports ARC (Audio Return Channel) to pass audio to an HDMI-capable sound systems, such as a soundbar or A/V receiver. But you won’t necessarily need an external audio system—for a thin-profile LCD TV, the UF9500 sounds quite good. There are also several audio modes to suit the occasion or personal tastes. The UF9500 supports a boatload of audio formats, too, including more esoteric types such as OGG, FLAC, and Windows Lossless in addition to the more common MP3, M4A, and WMA. Someone at LG likes music. Assuming I was viewing OTA (over-the-air) material or content arriving via HDMI, the 65UF9500’s picture was every good. Same deal with high-bit-rate 60- and 30fps HEVC and h.264 played back from an attached USB 3.0 drive (the TV also has two USB 2.0 ports). Something wasn’t copacetic, howevere, when transcoding and processing 25fps video. The 65UF9500 actually seemed to make panning jerkier and I noted shimmer in areas of fine detail (shimmer is bad in this case). At the price, it would be nice of the LG compensated for lower-frame-rate video—common in home movies—as well as the Panasonic TC-60CX800U. Here’s hoping a firmware update improves it. LG markets this TV oddly, mentioning the words “quantum” and “nano” a lot. This TV does not use quantum-dot technology, and I was relieved to learn that. While I was thinking that quantum dots were in play, I was trying to figure out how LG had messed them up. The 65UF9500’s color, while not bad for an LED LCD TV, is not in the same league as the models that do use quantum dots, including Samsung’s SUHD TVs. Apart from that, there’s decent contrast, plenty of usable brightness (more than 400 nits peak), and a generally good picture. 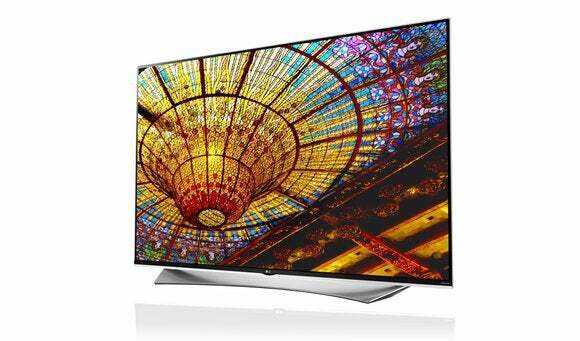 LG’s 64.5-inch 65UF9500 smart TV was one of the best in this roundup. I’ve raved about the LG’s remote but It would be meaningless if the OS wasn't so easy to navigate. It is, and LG can thank the original WebOS team for that. Yes, this is the same WebOS that HP acquired along with Palm and then didn't know what to do with. There are a good number of apps available for WebOS, certainly more than for the Firefox OS that runs on Panasonic’s TVs. That list includes most of the biggies, such as Netflix and YouTube. But the selection is not as broad as you’ll get with Sony’s Android TV. A confession: 3D makes me nauseous, so if I were to say that the UF9500 made me throw up, that would actually be a compliment. It has 3D capability, but it didn’t. The unit also supports HDMI CEC, so you can control your other HDMI-linked (and CEC supporting) equipment. You can even tell the UF9500 where to go via its voice navigation function. I’ll end the way I started: This TV is super easy and fun to use, it delivers a very good picture, its color is nearly on a par with Samsung’s SUHD and LG’s own OLED TVs, and produces very good sound. Aside from the little 25fps peccadillo, it’s a great TV. But then again, so are all the TVs in this price range. A great picture, realistic and saturated colors, and very good sound. 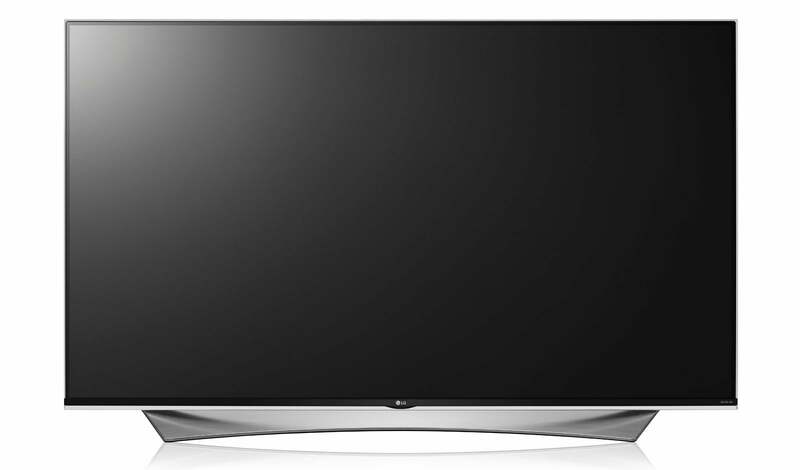 But this TV's outstanding feature is LG's Magic Remote and WebOS 2.0 onscreen interface that make it light years easier to use and adjust than the competition. It's only minor weakness is poor playback of 25fps video played from a USB drive. Our test unit also had some minor defects in screen uniformity (slightly gray shadows in the upper corners).